What you actually get in the kit is a good start, but you'd need some additional bits to make it all work. The motors come with wires, mounting brackets and hardware, and encoder discs, but no encoder boards. 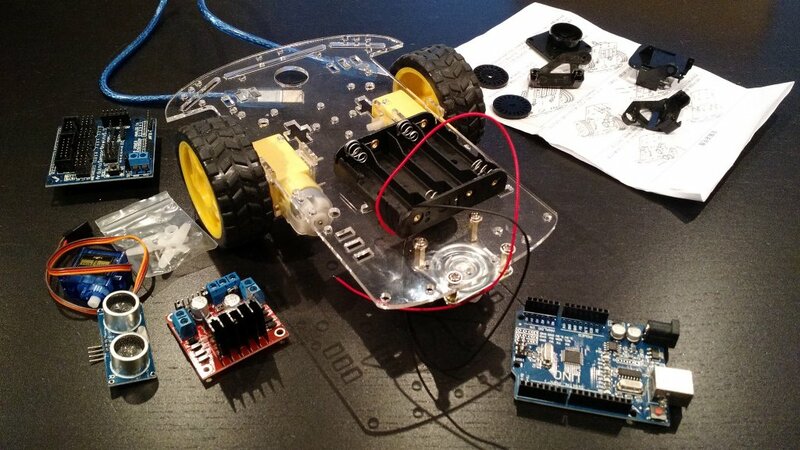 The chassis and hardware are very similar to the Sparkfun's now-retired Magician robot chassis. 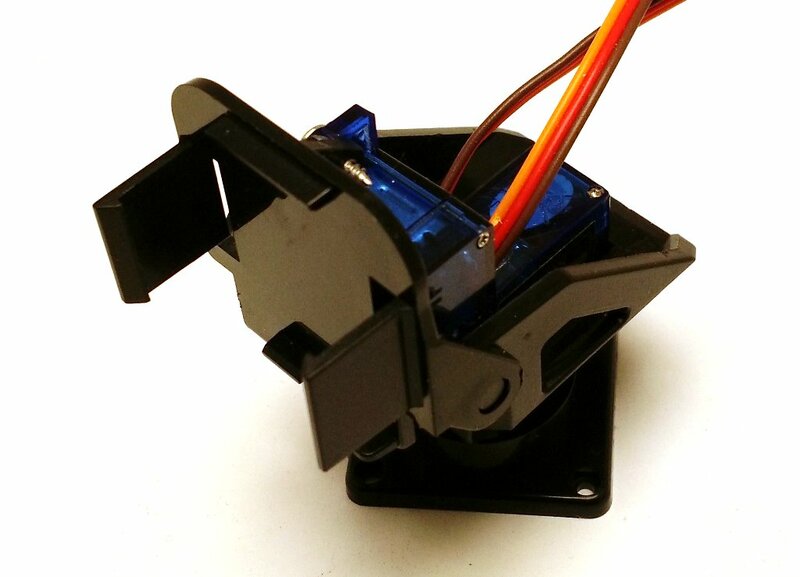 There's a pan-tilt head similar to the one sold by Adafruit, but the kit includes only one of the required two 90g micro servos. Fortunately I had an extra laying around. The bracket is supposed to clip into some unknown FPV camera, I think. 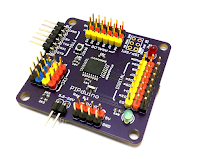 The power board includes an H-bridge motor driver IC (L298N) with robust heat sink, and a 7805 linear 5V regulator. However, for all the boards, you must supply the standoffs and mounting hardware and you get to drill your own holes, unlike the Magician. A sonar sensor is included, though with no mounting bracket. Still, it's a good starting point. Even after you add the missing pieces, total cost should be far south of $100. You can always add on Sharp IR distance sensors, line following sensors, a robot firefighting apparatus, a claw, or various other things. 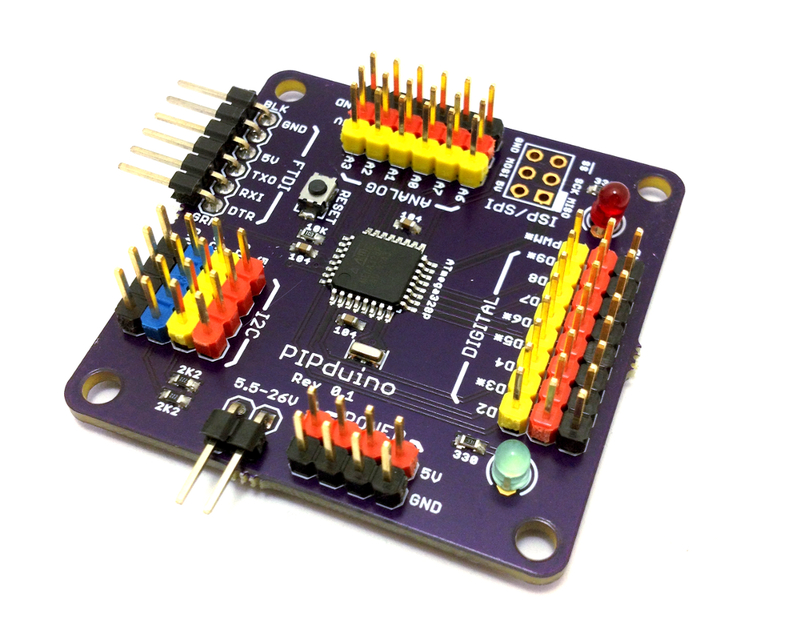 PIPduino has I2C, SPI, servo headers. For my kit, I think I'd rather use in-house, Bot Thoughts electronics. My Uno-compatible PIPduino lends itself nicely to robotics, for example. My RoverPower regulator board is a good fit, too. I'd need to design a motor driver board, though. Or, perhaps source a nice switching supply and motor driver from Pololu instead. The basic kit would have to include encoder sensors and some multi-purpose environment sensing. Expansion kits could be added for specific purposes like maze solving, firefighting, sumo, and line following. For programming, I know the Lego Mindstorms visual programming language seems to work, because the robot club at my daughter's elementary school use it with success. Scratch for Arduino might be an option; it's for ages 6 and up and is popular, apparently. Or, Minibloq, the first Kickstarter I backed, developed by folks who regularly teach robotics to kids. For older kids I'm thinking MicroPython would be ideal. Or ... (looks around nervously) ... BASIC, which is what I learned on. The Coridium ARM BASIC chip is an option. Well, what do you think? Worth doing? What would your kit look like? Let me know in the comments or click the "Contact Me" link on my blog page. I recommend you the Zum kit. You can use the open software bitbloq.bq.com . It works with any kind of arduino board.